Artist Mike O’Kane with “Billboard Sixty Special”. Boys’ toys have been getting plenty of attention in Dunedin this month. 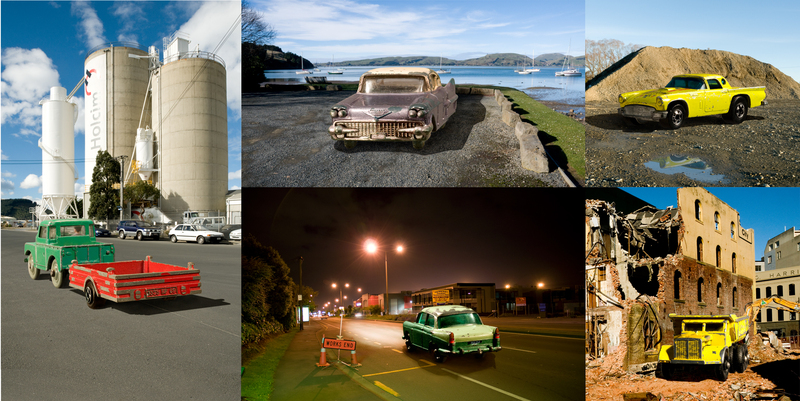 The Fringe Festival project “Billboard Sixty Special” features Dinky toys such as a Land Rover, dump truck and a Chevrolet. The billboard, in Andersons Bay Rd, blurred the lines between objects of desire in childhood and adulthood, sculptor Mike O’Kane said yesterday. “It touches the child in us and I think people like the humour in it. They don’t mind being duped a little bit, until the penny drops,” he said. 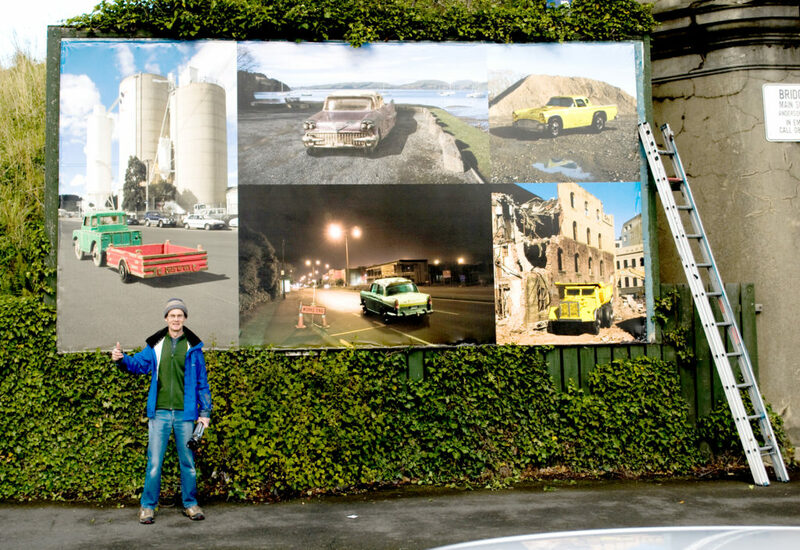 The billboard was inspired by transposing play-worn toys into a grown-up world, the former-Otago Polytechnic School of Art and School of Design lecturer said. “I just tried to find the appropriate toy for the setting. “They’re toys, but not really toys. “The 6m by 3m billboard was “a huge place to play in and explore the convergence of child and adult aspirations”, O’Kane said. “Billboard Sixty Special” is on until March 31, 2012.